Mid-Life Cruising!!! 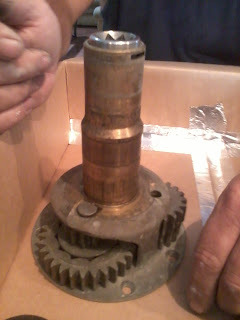 : A Dirty Winch! Sorry guys, I'm not talking about a "wench" ... but a winch! 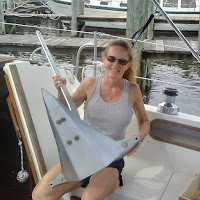 For those not familiar with parts on a sailboat, a winch is used to help raise the sails by wrapping the line around the winch and using its gears to crank the sail upwards (I'm learning so much). This saves a lot of energy! When we sailed to Mandeville last month, the winch was making a terrible grinding noise. 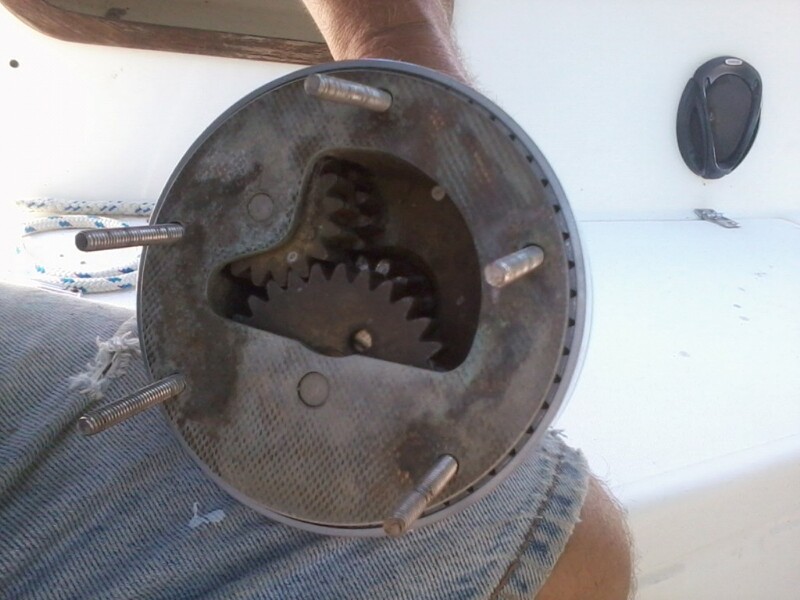 This noise made us cringe, and we were kicking ourselves for not cleaning our winches since we purchased Nirvana over 2 1/2 years ago. 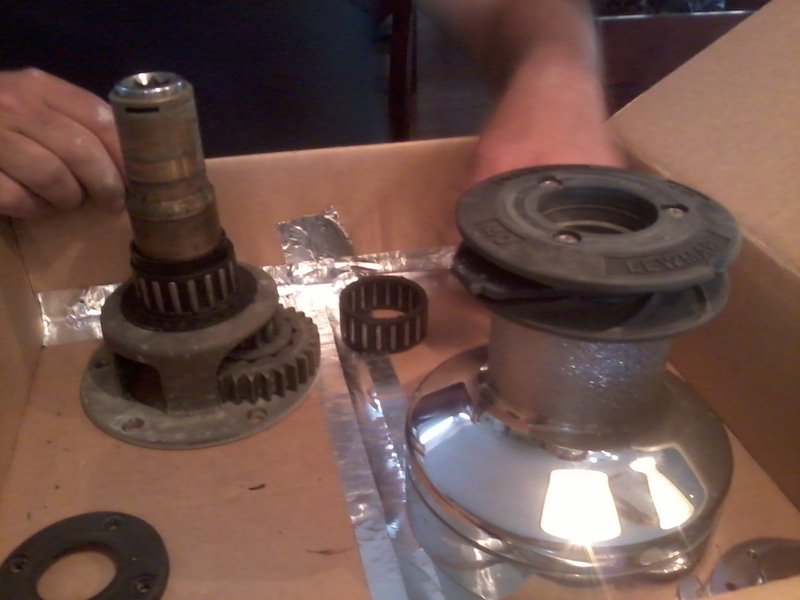 We were hoping the winch just needed a good cleaning, but it sounded so bad we were fearing the worst. Have you priced a new winch?! We vowed not to use the winch again until Ken had a chance to look at it. The day before we realized we needed to prepare for Hurricane Isaac (which did make a visit), Ken decided to remove the winch and tackle the project of taking it apart, cleaning it and lubricating it. 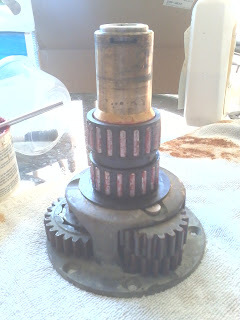 Ken had never seen the inside of a winch and was a little apprehensive about all those parts inside. It turned out to be a lot easier than he thought! After removing the winch from the sailboat, Ken brought it inside and started taking apart the winch in a cardboard box. We didn't know how many little pieces could fall, and a box would make finding them much easier. First step, unscrew the top and remove the top cap, the feeder arm and the two collets. Here's what a Lewmar self-tailing two-speed ocean winch (40ST) looks like "under the hood" with the top drum bearing already removed (sitting next to winch), as well as the washers and spacers. 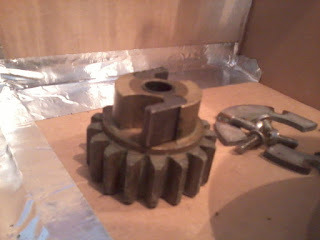 Next step ... remove the remaining spindle at bottom of shaft and remove the gears. The spindles are different sizes, making it easy to put back together. 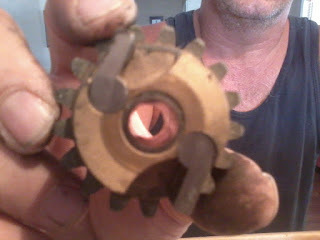 Those two little brown parts on the left and right ... that is called a "pawl". 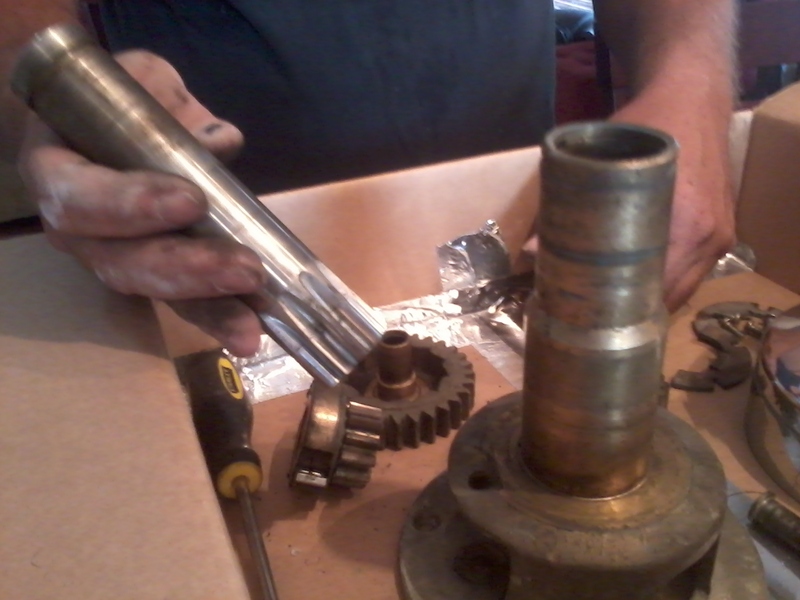 They were removed carefully, because they have springs that we didn't want to lose. The pawls were also cleaned. All the pieces! Our winch was filthy, giving us hope that all it needed was a good cleaning. After searching the internet on how to clean our winch, we had our cleaning supplies ready! 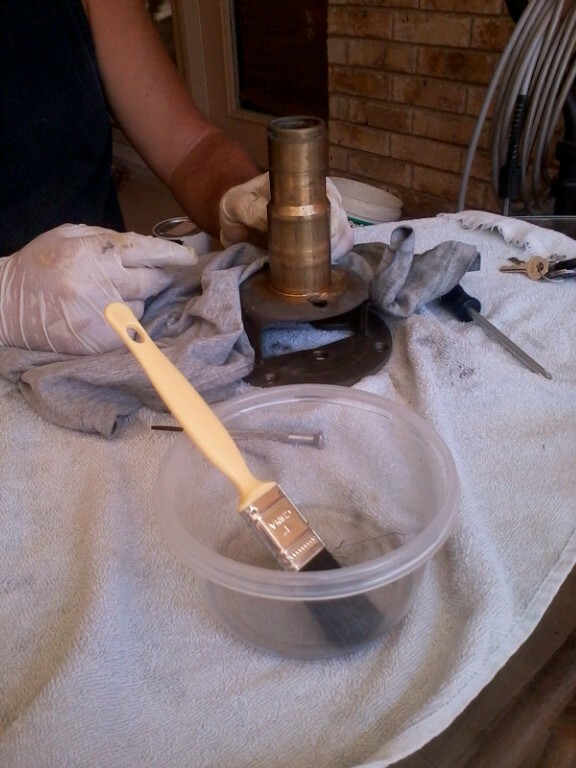 Two little brushes for the tiny crevices, a larger brush for applying the paint thinner (mineral spirits), some wheel bearing grease, and some motor oil. 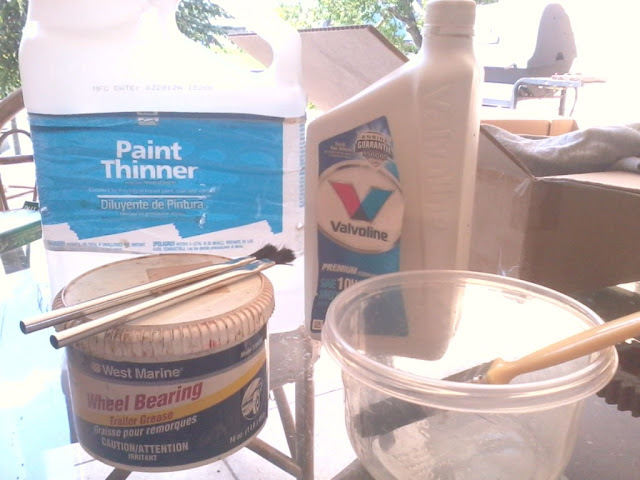 We learned that "white spirits" are just another term for mineral spirits ... or paint thinner. This was an outside job! Ken put on some gloves, brushed the mineral spirits on the winch pieces, then started cleaning with a cloth. 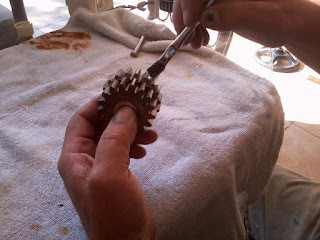 Next step ... brushing the grease (lightly) on the gears. Ken was especially careful around the pawls, because getting grease on them would cause them to stick. 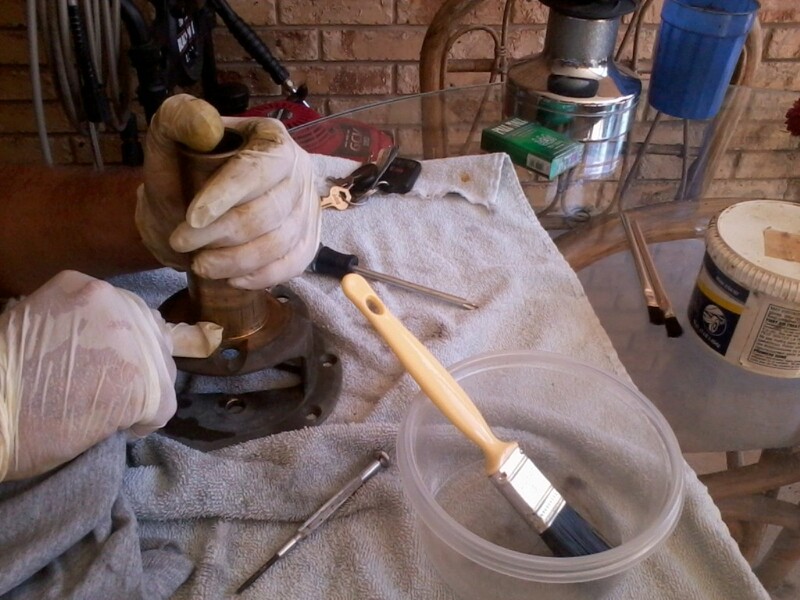 The pawls were lubricated with the motor oil. 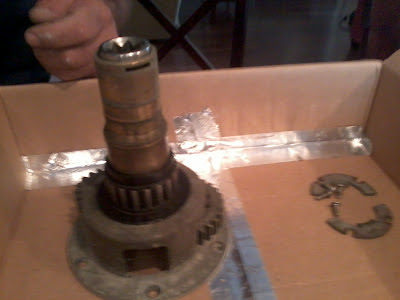 A light application of bearing grease on the shaft and drum bearings and time to put back together! 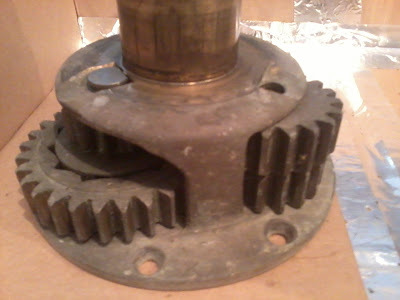 Some winches suggest "packing" the bearings with grease, but this particular model says NOT to. 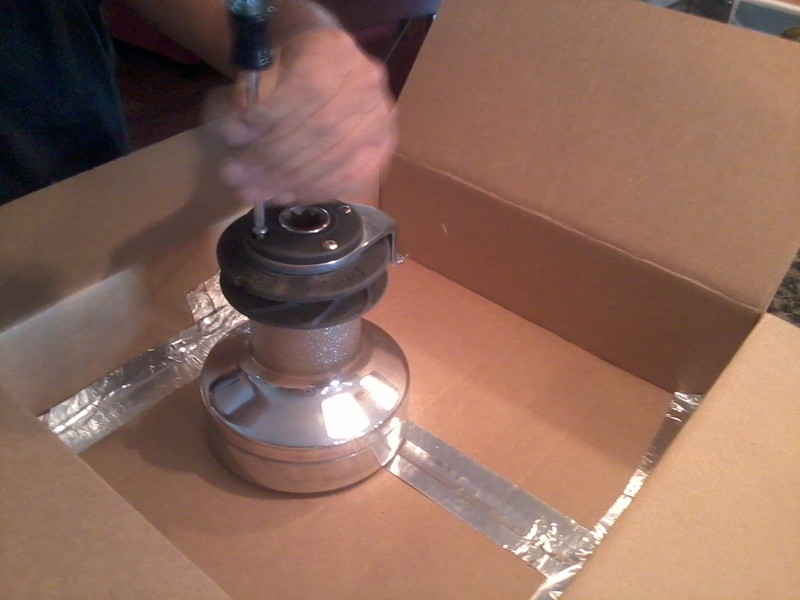 We did lightly grease the inside cover of the winch, often called the drum. If you'd rather watch a video, I found a great one from www.p2marine.com showing how easy this was. We were relieved to find that our winch is now quiet and working great. Whew ... we won't have to beg for donations to buy a new winch! It's recommended that winches are cleaned annually, and now that Ken knows how simple this is we'll be sure to clean our winches every year. It's an easy way to extend the life of the winch and save some big bucks! We have seven winches on our boat ... one down, six to go! Did you know that West Marine has some great information on all sorts of boating topics called The West Advisor, including information on winches. 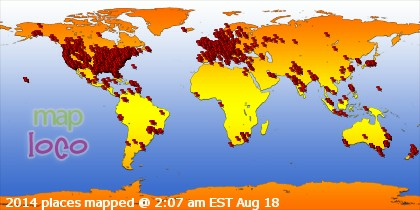 It's worth checking out! We hope this post helps others that are intimidated about cleaning a winch. If you have any tips we'd love to hear them! 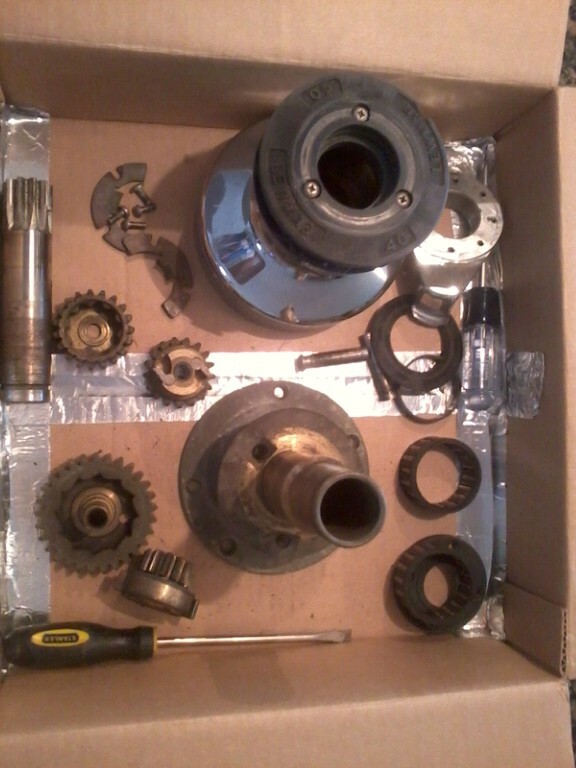 Winches are indeed very expensive. 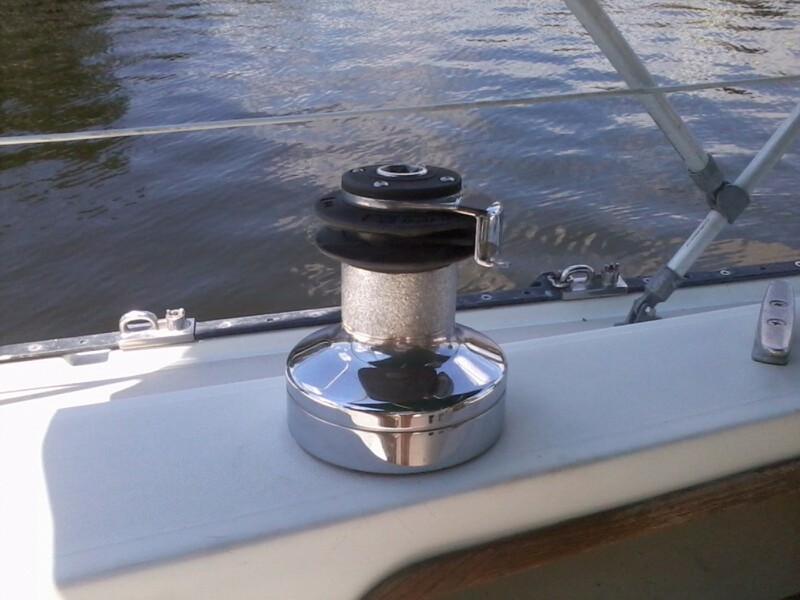 We have an anchor winch and it's way expensive. We've only got that one winch though. I'm glad you didn't have to replace your winch. Let's hope that the rest of them will clean up and work for many years to come. 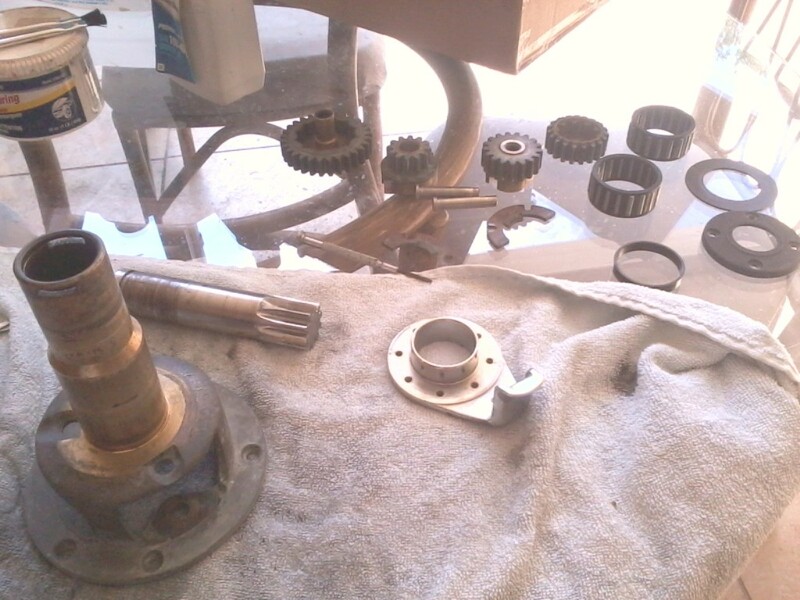 I used extra grease in the bearings, because I am not sure I will clean them all once a year. I did mine after seeing the price of new ones! I've found the best brush to use is one from an M-16 cleaning kit. You can find them at Army surplus stores or on the net. They look like a toothbrush except there are bristles on both ends, one set being smaller. 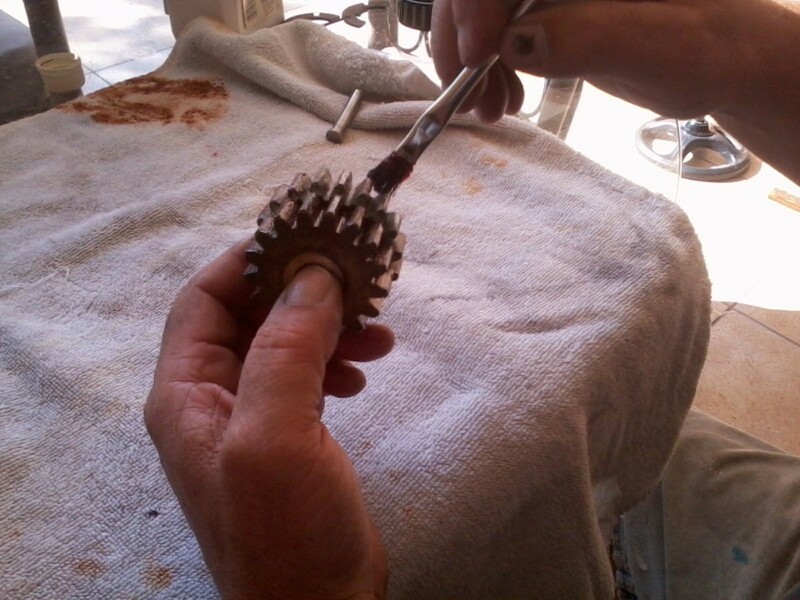 Really great for cleaning those gear teeth. 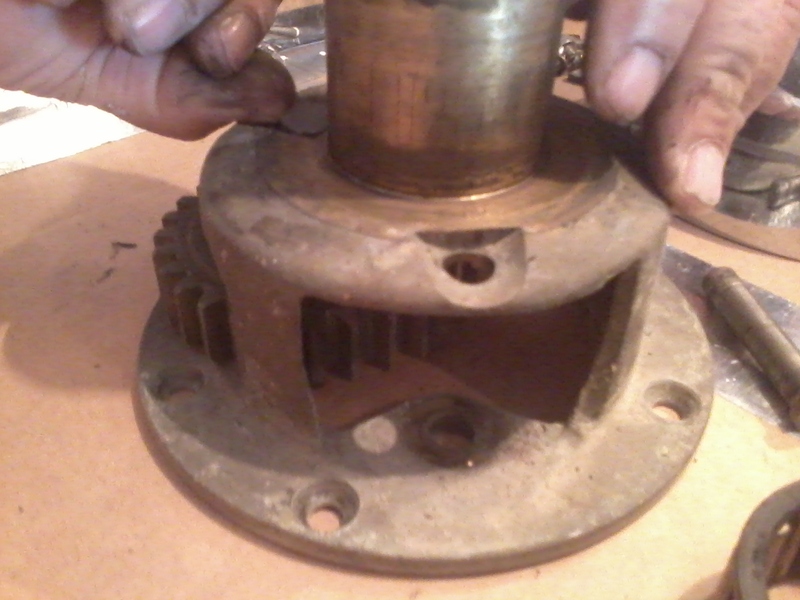 Also, this is a good chance to check mountings and backing plates. 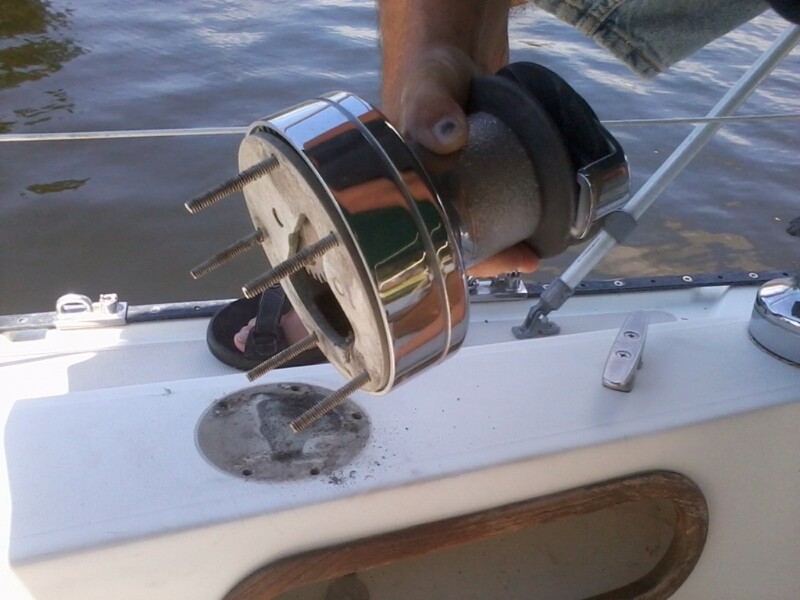 I pulled a winch right out of the deck in a breeze once (PO installation without any backing on a cored hull). I could easily have lost the whole winch! What a great post! Thanks for all the photos. I've been leary of digging into a winch. Drew and Tyler ... great advice. Thanks for your input ... we need it!